Room 20 @Sunnyhills: We get excited about the photo prompt! Next Term please bring along INTERESTING AND THOUGHT PROVOKING photos or newspaper articles to WRITE ABOUT in our own Class Newspaper to share in Literacy time. 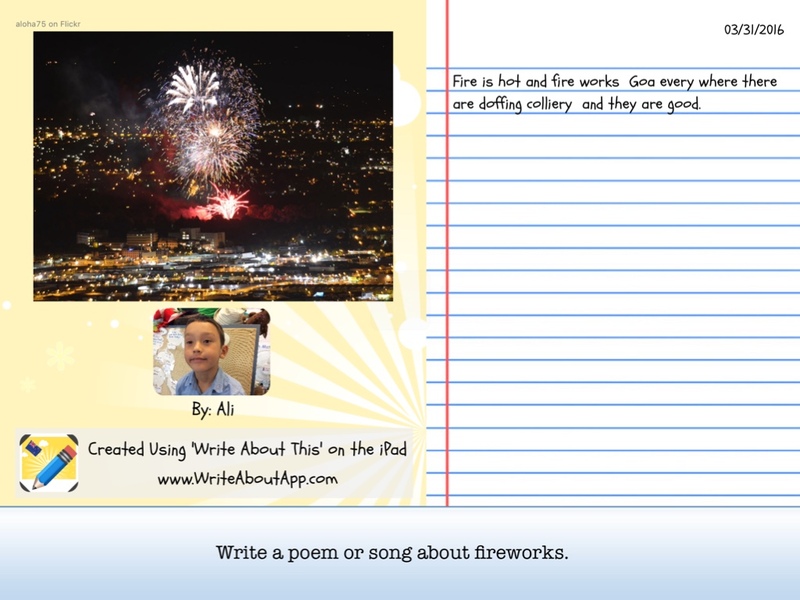 The AUTHORS were able to choose if they wanted to write using the PROMPT (which you can read at the bottom of the iPad screen) or use the image alone. The children then recorded themselves if they wanted to, reading aloud their writing. Other children can now use the iPad as a reading device as well as a writing device. We like to hear each other read. Reading and Writing has become interactive.